The company's website was in urgent need of a major upgrade and Metzmedia was given a free hand to create a new look and feel. As well as presenting the company's services more effectively to casual visitors, the new site also plays a valuable role in its e-marketing activity, as prospects can be referred back to the site for more information. General Manager, John Keen commented: "We found it difficult to decide what we wanted in terms of design and the way the site worked, so we gave Metzmedia a fairly open brief. In the end I think we got more than we actually hoped for. It has the visual impact we need, but at the same time communicates all the right information." 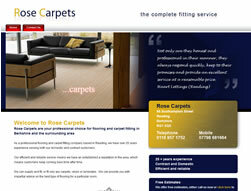 "We've had lots of positive feedback. In fact the website is instrumental in attracting new corporate clients and acting as reference point for our range of services. Recently, we won a new corporate client based in the Thames Valley that contacted us initially due to the quality of our website." "Now that we've reached this stage, we'll continue to use Metzmedia for ongoing site development, so we can continue to derive maximum benefit from our web presence." 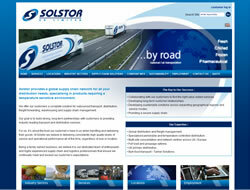 Solstor UK Limited is a pan-European operation with a fleet of over 250 temperature-controlled trailers, providing refrigerated transport and logistics solutions. The company was looking to completely re-brand itself to bring it into the 21st century. 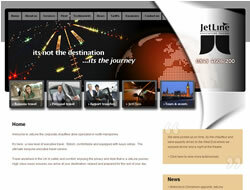 This included redesigning its website, which looked outmoded and carried out-of-date information. 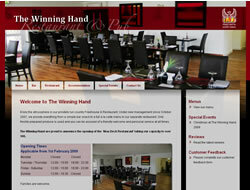 A brief was prepared giving ideas for content, layout and an indication of the target audience. 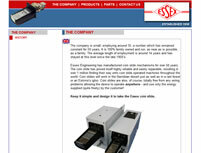 Important requirements were that the site had to be straightforward, easy to use and fast to load. Commercial Manager Clive Lester continued: "Five companies pitched for the business but Metzmedia was the only one which had researched our industry and came up with ideas that were relevant to our industry sector." "The most important thing was that they listened to what we wanted and then translated this into something that matched our requirement. 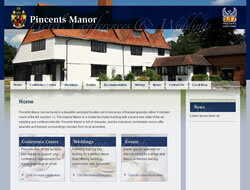 We're really pleased, and response to the new site has been very favourable. They have been very accommodating, and we've been very impressed with how quickly and efficiently they have responded to our needs - especially on site updates such as our regular customer newsletter." "We're continuing to work with Metzmedia in developing the website. 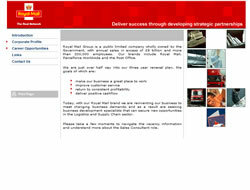 The next stage is to link it to our customer database and move on to a full-function e-marketing capability."